Plutarch's De latenter vivendo is the only extant work from Antiquity in which Epicurus' famous ideal of an 'unnoticed life' (lathe biosas) is thematised as such. Moreover, the short rhetorical work provides a lot of interesting information about Plutarch's polemical strategies and about his own philosophical convictions in the domains of ethics, politics, metaphysics, and eschatology. In this book, Plutarch's anti-Epicurean polemic is understood against the background of the previous philosophical tradition. An examination of Epicurus' own position is followed by a discussion of Plutarch's polemical predecessors (Timocrates, Cicero, the early Stoics, and Seneca) and contemporaries (Epictetus), and by a systematical and detailed analysis of Plutarch's own arguments. The lemmatic commentary offers additional information and parallel passages (both from Plutarch's own works and from others authors) that cast a new light on the text. 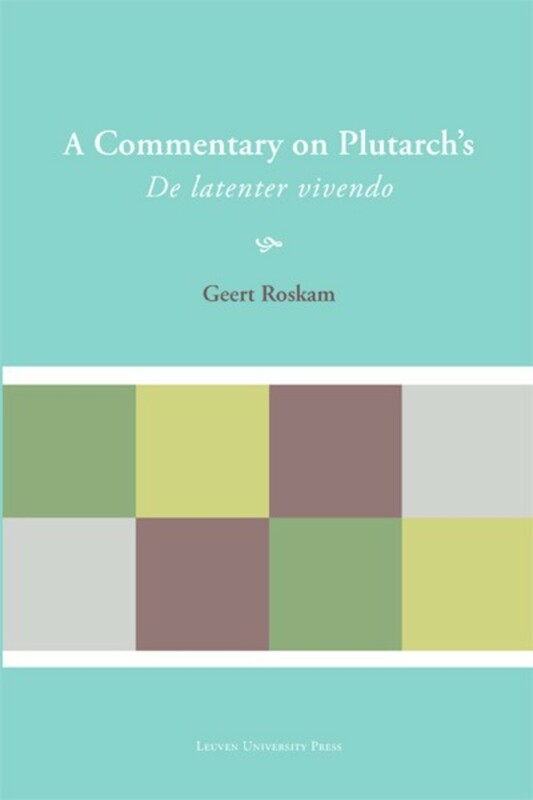 Geert Roskam is Professor of Greek language and literature at KU Leuven.